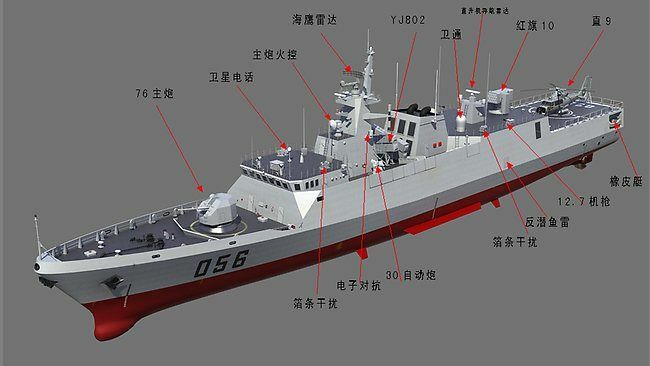 While Australian tycoon has unveiled his plan to replicate Titanic 100 years after the biggest sea liner that sailed and sank on ts maiden journey from London to New York, China is reported to have inducted the first stealth frigate in its navy on Monday in Shanghai, which is home to one of the country's largest complexes of naval shipyards, according to the official Xinhua News Agency and the navy's official website. The helicopter-equipped ships feature a sleek design to reduce clutter and make them harder to spot by radar and are armed with anti-ship and anti-aircraft missiles. They also need a crew of just 60, two-thirds fewer than older vessels, a major advantage that should boost efficiency and relieve burdens in training and recruitment.